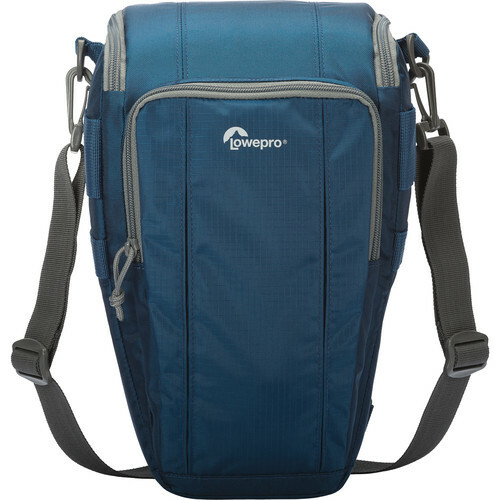 Designed for the active photographer, the Lowepro Toploader Zoom 55 AW II offers quick access via a zippered top opening to your DSLR. Its generous depth supports a camera body with a 70-200mm f/2.8 lens attached. Its conventional design is comfortable, discreet, and can be worn across the body via an adjustable and removable shoulder strap or on the waist via a built-in belt loop. A grab handle at the rear of the top compartment provides easy grab and go convenience. Two zippered pockets cater for small accessories such as memory cards, cleaning accessories, lens filters, spare batteries and other personal items. Additionally, a built-in accessory clip within the front pocket provides added security for items such as keys and jewellery. Hidden within the base of the bag is a handy All Weather (AW) Cover which opens out to encase the entire bag, protecting your gear from the unfriendly elements like rain, snow, dust and sand. 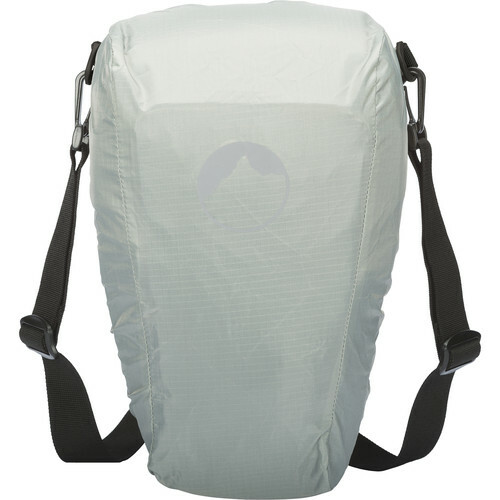 Two external D-rings and SlipLock attachment loops allow you to further expand your carrying capacity by attaching lens pouches or any other accessory that fits. 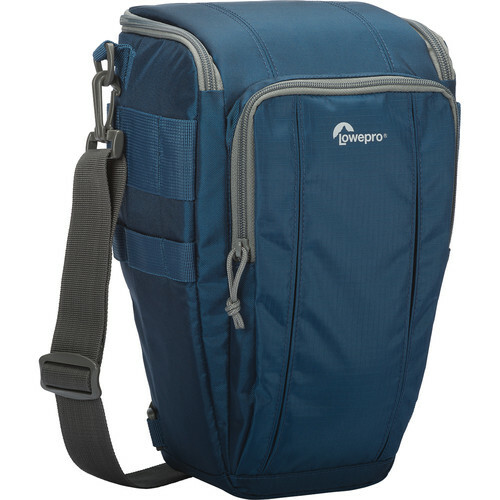 Perfect for sports shooters and nature or wildlife photographers, the Lowepro Toploader Zoom 55 AW II is the ideal camera bag for all your outdoor adventures and holidays.